Perhaps it’s my inner-narcissist (controlling my every thought and whim, or so he believes), but mentioning me in a blog post is sure to increase your chances of winding up here. Blessing or a curse that may be has yet to be determined. 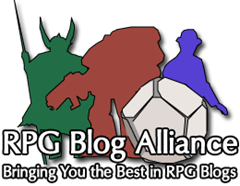 More onto the point, @linkskywalker is an excellent sort of sir that not only politely rebuked an opinion of mine, but also made a compelling defense for crafting in D&D tabletop in a much longer form blog post. I am a frequent reader of his work, the new look at older Gary Gygax material in particular strikes my fancy. But go now, and gaze upon a gentlemans retort.